"The trick is to sound just white enough." It's telling how the name "Obama" is never mentioned and "Barack" only a few times in passing in Barry. The film is a soulful, semi-biographical film about the first black president's formative college years famously covered in his first memoir, Dreams of My Father. Starring Australian actor Devon Terrell and directed by Vice documentary filmmaker Vikram Gandhi, the film is a fictionalized origin story of the future world leader's humble origins. Barry starts with Obama's arrival as a twenty-year-old undergraduate student transferring to Columbia University and moving to New York in 1981—the city's notoriously most violent year. He experiences more than a bit of culture shock. Newcomer Terrell is pitch perfect showing glimpses of Obama's famous mannerisms slyly without ever impersonating him while capturing his youthful spirit. The lively and spirited Anya Taylor-Joy portrays a composite character, Charlotte, based on the different girlfriends Obama had during this time in his life. She is educated, affluent, and comes from a very liberal, wealthy white family and background clashing with his unconventional upbringing. They share a lot of superficial commonalities, but we see how the depth of their cultural differences ultimately dooms their relationship while teasing the kind of woman we know he is destined to meet. Gandhi and writer Adam Mansbach populate seedy New York with fine supporting characters and performances from the likes of Jason Mitchell and Ellar Coltrane as Barry's black and white colleagues who can relate to different sides of his personality. An energetic Ashley Judd shows up briefly, but memorably, to embody his free-spirited mother and echo the influence of woman who most impacted his life but never saw the man he would become. The absence of Obama's father in his life hangs a large cloud over his journey, reflected in the film, as he struggles to reconcile the other half of his biracial identity while coming to terms with his "blackness" and searching for a true home without that paternal presence. 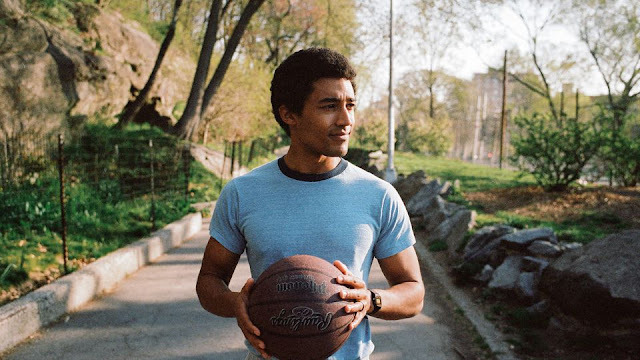 Barry is a remarkably quiet and universal film about identity and belonging while mining Obama's college years as compelling subject matter. It's a thoughtful portrait of a young man coming to terms with who he his and his place in the world. It works sublimely as a standalone story of growing up biracial in America and even better as a prologue teasing his eventual legacy of "hope" and "change". Barry is available for streaming now on Netflix.